What happens if you crash your drone into a person, yourself, or something expensive? No, seriously. Think about it. 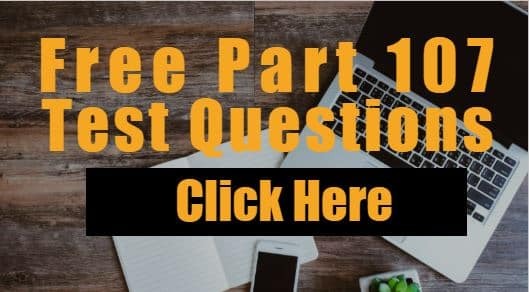 You most likely right now are wondering about how to obtain your drone license, finding jobs, running your drone operation, etc. Are you protected? Do you have enough money to cover the costs of an accident? Insurance Broker or Go Direct to Insurance Company? Is drone insurance legally required? Can I get the insurance for just one job? Is it a good idea to call around to different insurance brokers to get competitive bids? How many different insurance products are out there for those in the drone industry? I had an hour with Terry Miller, an insurance broker at Unmanned Risk, discussing a lot of the issues in this article and some stuff that is NOT in the article. Let’s go back in time to when kings used to protect themselves with castles. They had moats, archers, knights, big walls, catapults, a draw bridge, etc. All of these things were barriers to prevent an invading army from capturing the king. Likewise, you need to treat yourself, and your family, as the royal family and surround yourself with different types of protections. Shows that you are a serious professional and potentially allows you to access higher end clients who require drone insurance. Is the loving thing to have to make sure your customers, or other people, are protected and made whole if they are injured. Allows you to continue focusing on doing your business while your insurance company handles the claim. Lets you sleep at night or continue focusing on running your business. There are things outside of your knowledge and control that can happen which put you at risk of liability. Insurance can simply be boiled down to you trading your risk of liability to the insurance company in exchange for money you pay to them. You can have liability risk from all sorts of things ranging from aircraft accidents, negligent repairs, negligent instruction, negligent hiring, etc. Everyone has in their mind the idea of the drone flying into some car or another person, but I don’t want you to think of things so narrowly. You need to think broadly when it comes to liability. You should think in terms of the different actions and relationships you might have relative to other individuals. You improperly repaired your aircraft and it crashed into a 3rd party or property. You improperly operated (because you didn’t read the instructions) the aircraft which resulted in damage to property or injury to a 3rd party. You operated an aircraft correctly, but in a negligent manner, which resulted in harm. You didn’t change out life limited parts (e.g. propellers) or properly store the equipment (e.g. batteries) which resulted in an accident. You cited the FAA material not knowing FAA material was incorrect, outdated, not complete, etc. 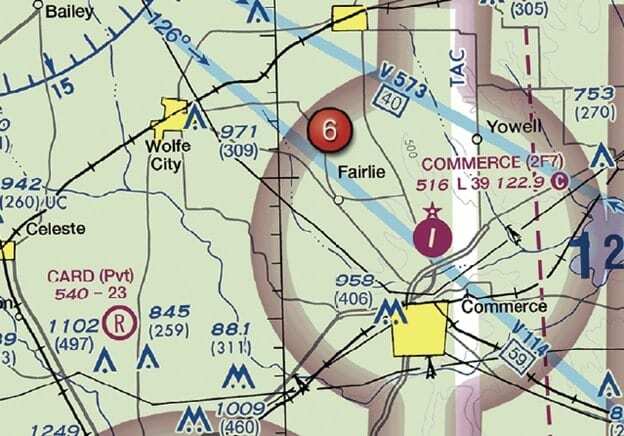 Yes, the FAA sometimes does have incorrect information. A great example is this one night flying video the FAA put out which had incorrect information. You provided correct information, but not the additional information that was needed. (You were not complete.) 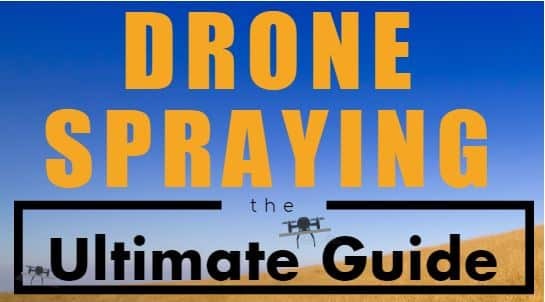 There is a particular popular Youtube channel in the drone industry which has provided correct information BUT left out, or did not know of, other key pieces of information. They basically only know Part 107 and read the preamble to the small unmanned aircraft rule and then advise people of what it says not knowing other regulations still do apply. You sub-contracted a person who claimed to be insured but was not. He crashed the drone into your employee or a patron of your business. You hired (employee or sub-contractor) a person who claimed to be licensed by the FAA but was not. You built the aircraft incorrectly. You assembled certain components that were not compatible. You provided incorrect instructions for assembly and/or operation. See the Horizon Hobby lawsuit in Colorado where they were sued because they were the distributor of a Taiwanese company’s helicopter and the plaintiff lost an eye. You threw a giant party/concert and it was foreseeable that people would fly their drones illegally over the crowd (your customers). You didn’t provide enough security to counter this threat and a patron was injured from a falling drone. You hired a drone operator who operated too closely to the main performing artist and injured them. Please keep in mind the threshold for getting into a lawsuit is low. Regardless of the likelihood of judgement against you, you will be paying for an attorney to defend you and not be focused on your business. Premium – This is the amount of money that the person or business must pay for the insurance policy. Non-Owned Aircraft Coverage – Protects you from legal obligations that result from the operation of a drone you do not own. Payload Coverage – This covers the payload you own on the drone. For example, let’s say you are a drone cinematography company that can carry different types of cameras. You could insure the Red Dragon differently than the Red Epic. Non-owned Payload Coverage -This covers the payload of the drone you do NOT own. For example, you are a cinematography company that flies an aircraft that can carry different cameras. The production company wants you to use a special type of camera and lens that you do not own. You rent the equipment from a camera rental studio and get non-owned payload coverage on the rented camera and lens. Additional Insured – A person or person other than the original named insured, who is protected under the terms of a policy. UAS Liability Insurance – Protects insureds from claims by other parties (“third parties”) for bodily injury or death and property damage. The claim has to result from an occurrence related to the operation of the UAS. Hull Insurance – Coverage for physical damage done to the drone. It is not liability coverage and is therefore triggered by a covered event, regardless of the reason for the damage or loss. Subrogation – A doctrine that gives an insurance company the right to attempt to recoup some or all of the money they paid on behalf of insureds. They do this by proving that another party was legally responsible for the loss and the party has the financial ability to reimburse the insurance company. Read your policy to see if you are covered. If your home owner or renter’s insurance does NOT cover your drone flying, you should look at getting drone insurance. Furthermore, “AMA insurance is ‘excess’ to any other applicable coverage, such as homeowner’s” which means your home owners insurances has to pay first and be exhausted before the AMA insurance will kick in. What does that mean? You will have higher home owner’s insurance premiums in the future. Even after you put that Phantom 4 in the closet. 3. Relying on Someone Else’s Drone Insurance Policy to Cover You is Problematic. Yes, you can get listed on another person’s insurance policy as additionally insured. This can provide you SOME protection, but this can be problematic. Who might want to purchase non-owned drone insurance policies? Yes, and here is why. Have lied on their application and their claims will be denied. Be operating outside the terms and conditions of the insurance coverage. Be flying another drone NOT listed on their policy and they didn’t bother to tell you they crashed the first one. Have cancelled his policy or stopped paying for it. There have been reports of people and/or companies in the drone industry just purchasing an annual policy, sending the potential client a certificate of insurance, and then cancelling the policy after the job is awarded. In this case, the company hiring the drone service provider can separately purchase from the insurance company a notice of cancellation. Your own negligence injuring yourself. Your own negligence injuring your business, clients, or 3rd This is what happened in the lawsuit up in the New Hampshire wedding drone crash case. The wedding venue was named as additionally insured but that is additionally insured for the negligence out of the actions of the pilot, not the negligent actions of the wedding venue failing to stop the drone flight. Damage caused to the aircraft by you or your clients. What is even more crazy is that the insurance company for the drone company might even come after YOU for your negligence. This is under what is called subrogation. Basically, the insurance company stands in the shoes of the insured. If you goofed over the person you hired, and that insurance company had to pay out, the insurance company might turn around and come after you for your negligence to recover the money they paid out. This is why sometimes the hiring company purchases from the insurance company of the drone service provider a waiver of subrogation which prevents the insurance company from pursuing claims against the additionally insured hiring company. Keep in mind that is only for the insurance company. The drone service provider might still come after you. 1.Insurance Broker or Go Direct to Insurance Company? A broker is interested in selling you the best product for your needs. May or may NOT cost you more. The agent makes his money from selling you an insurance policy which typically means more expensive policies. However, he can also shop around to find you the best “bang for the buck” which might come out lower. The agent will be there to help answer your questions and identify future needs. You might need a special 1 time high limit insurance policy for a job that broker can help you with. Insurance company can sometimes charge lower prices because there is no broker commissions to pay. However, this means you might waste a lot of time trying to read through all the material to find out what is best for you when an independent broker could have answered your questions quickly. Annual insurance is fixed while hourly insurance is….well…hourly. This means that if you fly too much, hourly will be MORE expensive than annual insurance. 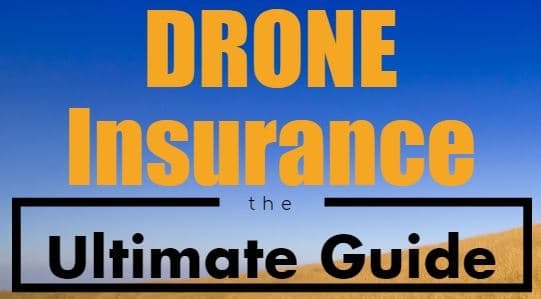 Here is how to figure out if you might need annual instead of hourly drone insurance. Figure out how many hours you plan on flying for a month. Yes, this might be hard to figure out at the very beginning. You could do hourly insurance for 1-2 months and then use the number of hours you flew in those 1-2 months as a basis to estimate the upcoming months. You could also call over to companies in the area and ask them. Determine how many months realistically you will be able to fly. Consider how weather will affect your flying and/or customers. For example, you can do business year-round in Florida or Southern California but only some of the year in New England. If you go to my drone sightings page, you’ll see a graph of drone sightings activity by month and also by city. This can give you rough idea of the months for your area. Find out the cost of an annual premium. Divide that by the number of months you think you will be flying. This will arrive at the cost per month for the annual insurance policy. You can then see if it will be more costly to fly using hourly insurance or if it will be cheaper. Also keep in mind that it is not annual OR hourly insurance. You might purchase both. Why? Let’s say you have a Phantom 4 you fly a ton, but you have an Inspire 2 which you don’t fly frequently. You might purchase annual for the Phantom 4 and then get hourly for the Inspire 2 you rarely fly. You might be able to add the additional Inspire 2 to your annual policy for not that much more money but that would be dependent upon you knowing or expecting it. If you can’t expect flying it, you might just do hourly as a backup in a moments notice. If you are a startup and are slowly testing the waters, you might want to keep your operating costs low and use hourly insurance for the first 1-2 months. 3. Myths regarding hourly insurance. “Hourly insurance is only good for $ 1 million.” To give you some perspective Verifly sells hourly drone insurance and their policies go up to $10 million. 4. Do you have enough? For example, if you cause an accident which takes down electrical power to an area, that could be costly because (1) you have to pay to repair the line, (2) the electric company lost revenue, (3) there might be some lawsuits for destroyed food caused by lack of refrigeration due to power failure, (4) car accident because the traffic light went out, etc. How long they have been an aviation insurance broker? Is that important? Do they sell aviation insurance products for manned aircraft also? Does anyone else in the drone industry use them? Do they have support staff to help you in case the broker is out? Do they have access to other types of insurance that an aviation insurance broker might not have access to? Once you find one, call only that broker. Don’t call around to get competitive quotes. Keep reading to find out why. In the United States, according to the Federal Aviation Regulations, you do not need drone insurance; however, state and local laws might require it or other types of insurance associated with your operations (e.g. commercial operations might need worker’s compensation insurance). See an aviation attorney in your state. Can I get drone insurance for just one job? Yes, drone insurance can be purchased hourly, per job, per day, or on an annual basis. No, here is why. There are only a small number of UAS insurance companies that do business in the US. As a rule, an insurance company will work only with one broker at a time based on the order they come in. In other words, you won’t have two competitive bids because the insurance company will be dealing with only ONE broker, the first one to contact them, representing you. Premises liability, and much more. Sometimes You Realize You are Not a Top Gun Pilot or a Cinematographer. This practice test has 40 questions. 38 questions were created by the Federal Aviation Administration. I created 2 airspace questions. After each question you will find out the correct answer AND the wrong answers. Any language in [brackets] after an answer is my commentary to explain why the answer is correct or wrong. I put the Airmen Certification Standard (ACS) code at the top to help you with further study. At the end you’ll be given a score with a complete breakdown of each of the 3 subject areas. At the end, you can obtain the answers & explanations in a PDF format via email if you sign up for the drone law newsletter. No accidents need to be reported. When requested by the UA owner. Within 10 days of the accident. Wrong: No accidents need to be reported. When the aircraft has a takeoff weight that is more than 0.55 pounds, but less than 55 pounds, not including fuel and necessary attachments. When the aircraft weighs less than 0.55 pounds on takeoff, including everything that is on-board or attached to the aircraft. All small UAS need to be registered regardless of the weight of the aircraft before, during, or after the flight. Correct. When the aircraft weighs less than 0.55 pounds on takeoff, including everything that is on-board or attached to the aircraft. Only when the operator will be paid for commercial services. When the small UA is used for any purpose other than as a model aircraft. All civilian small UAS weighing greater than 0.55 pounds must be registered regardless of its intended use. Wrong. When the small UA is used for any purpose other than as a model aircraft. Wrong. Only when the operator will be paid for commercial services. All persons must register their small UA. The owner is less than 13 years of age. If the owner does not have a valid United States driver's license. Wrong. All persons must register their small UA. does not endanger the life or property of another. requires more than one visual observer. Wrong. requires more than one visual observer. [You don’t need a visual observer unless you are doing something special like over in 107.31 such as FPV racing]. land within 10 feet of the expected landing zone. not create an undue hazard to persons or property. not cause property damage in excess of $300. Wrong. land within 10 feet of the expected landing zone. Wrong. not cause property damage in excess of $300. pass a self-administered sobriety test before operating a small UA. ensure that your visual observer has not consumed any alcoholic beverage in the previous 12 hours. not operate a small UA within 8 hours of consuming any alcoholic beverage. Wrong. pass a self-administered sobriety test before operating a small UA. Wrong. ensure that your visual observer has not consumed any alcoholic beverage in the previous 12 hours. Must be operated in a rural area. Wrong. Must be operated in a rural area. Wrong. Use of a transponder. ensure the UA passes below, above, or ahead of the balloon. yield the right-of-way to the hot air balloon. expect the hot air balloon to climb above you altitude. Wrong. 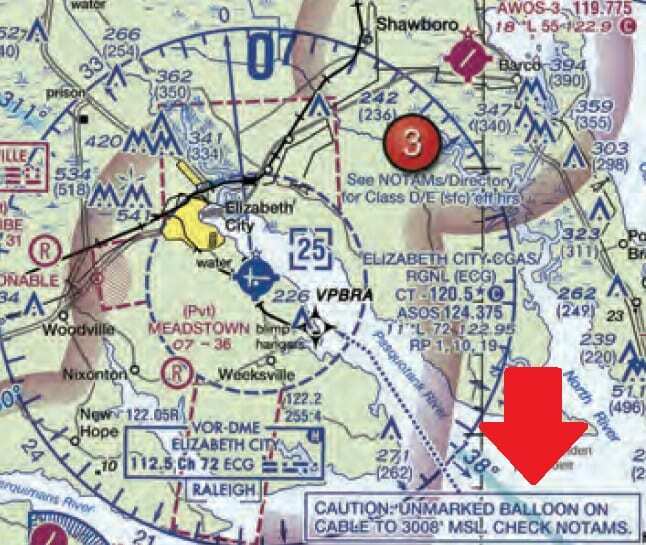 ensure the UA passes below, above, or ahead of the balloon. Wrong. expect the hot air balloon to climb above you altitude. 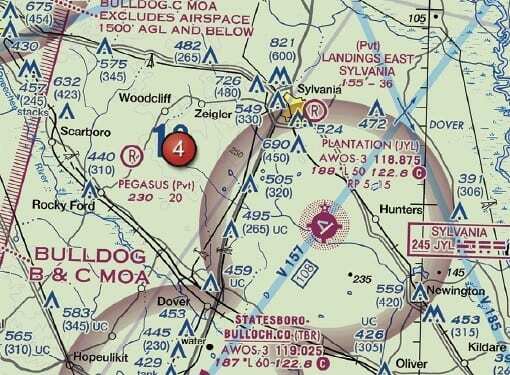 The remote pilot must contact the Air Traffic Control (ATC) facility after launching the unmanned aircraft. The remote pilot must have prior authorization from the Air Traffic Control (ATC) facility having jurisdiction over that airspace. The remote pilot must monitor the Air Traffic Control (ATC) frequency from launch to recovery. No, your entire flight is in Class G airspace. 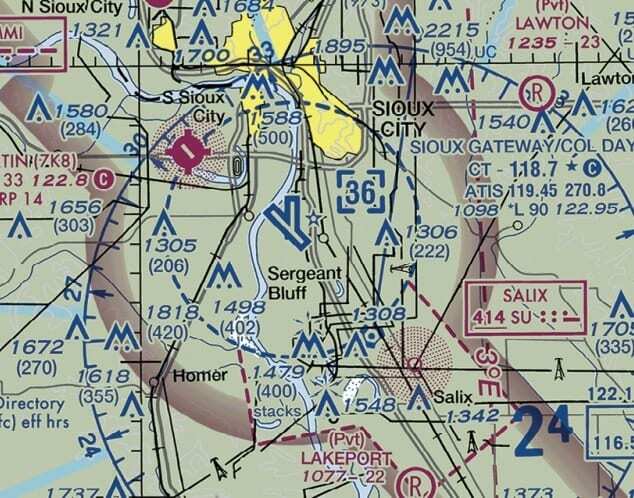 Yes, you must contact the Onawa control tower to operate within 5 miles of the airport. 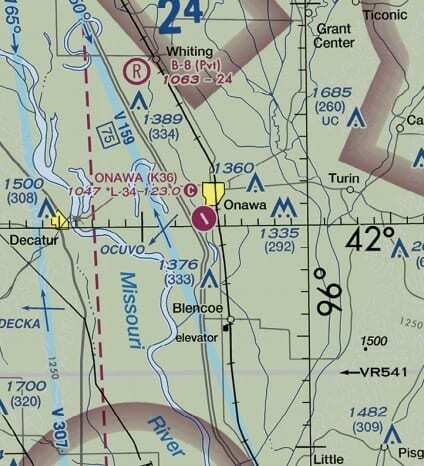 Yes, Onawa is in Class D airspace that is designated for an airport. Correct. No, your entire flight is in Class G airspace. Wrong. 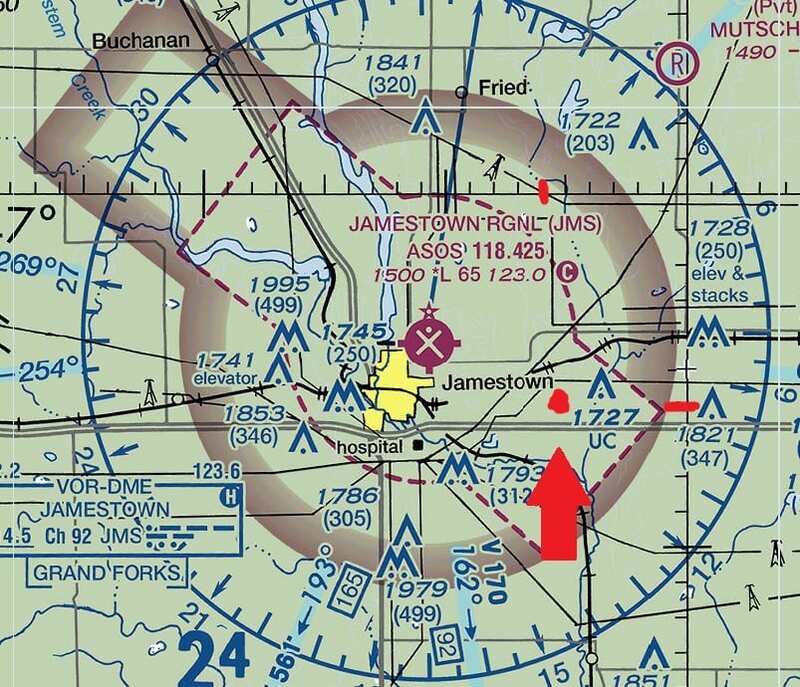 Yes, Onawa is in Class D airspace that is designated for an airport. Wrong. 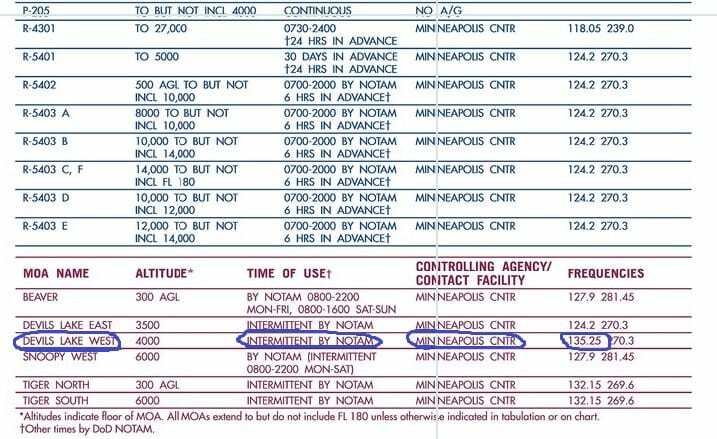 Yes, you must contact the Onawa control tower to operate within 5 miles of the airport. Correct. Remote pilot-in-command. [See 107.19. Learn the short version of this regulation. “If anything goes wrong, it is most likely the PIC’s fault.” You shouldn’t let anyone force you into flying somewhere or doing something you feel is unsafe. You are getting the whacking if anything goes wrong, not them.]. Wrong. 100 knots. [100MPH, not knots]. a remote pilot certificate with a small UAS rating. a logbook documenting small UA landing currency. any employer issued photo identification. Wrong. any employer issued photo identification. can be delayed for a period up to 8 hours after the request. has no consequences to the remote pilot certificate. is grounds for suspension of revocation of their remote pilot certificate. Wrong. can be delayed for a period up to 8 hours after the request. Wrong. has no consequences to the remote pilot certificate. Correct. 3,000 feet MSL. [Class B airports are huge up side down wedding cakes. The B overhangs the Class D airspace. If you see the Class D top says [-30]. The minus means up to but NOT including 3,000. 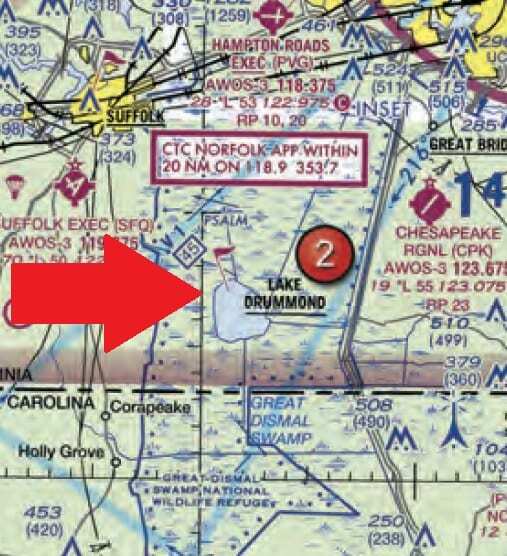 Right near it you see the 110/30 which means Class B is 3,000-11,000 ft.
is required to file a flight plan. is required to receive ATC authorization. 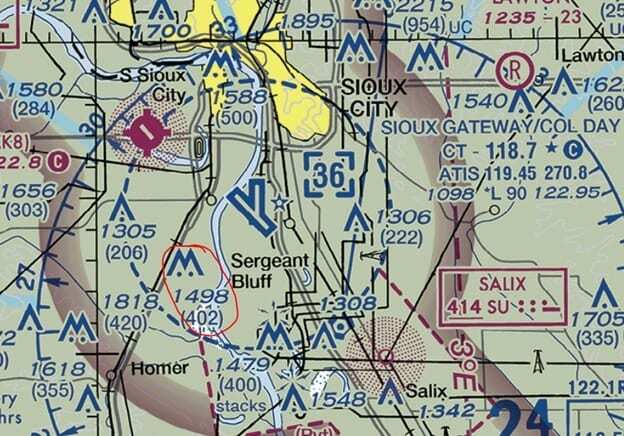 Yes, this is a Military Training Route from 1,500 feet AGL. Yes, the defined route provides traffic separation to manned aircraft. No, all operations will be above 400 feet. Wrong. No, all operations will be above 400 feet. Wrong. Yes, the defined route provides traffic separation to manned aircraft. In the Aeronautical Information Manual. 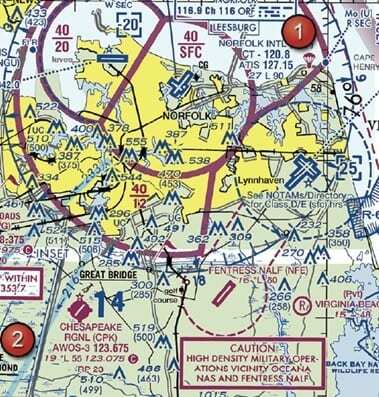 In the Special Use Airspace area of the chart. In the Charts Supplements U.S. In the Military Operations Directory. Refer to the legend for special use airspace phone number. This information is available in the Small UAS database. This is a national security area. 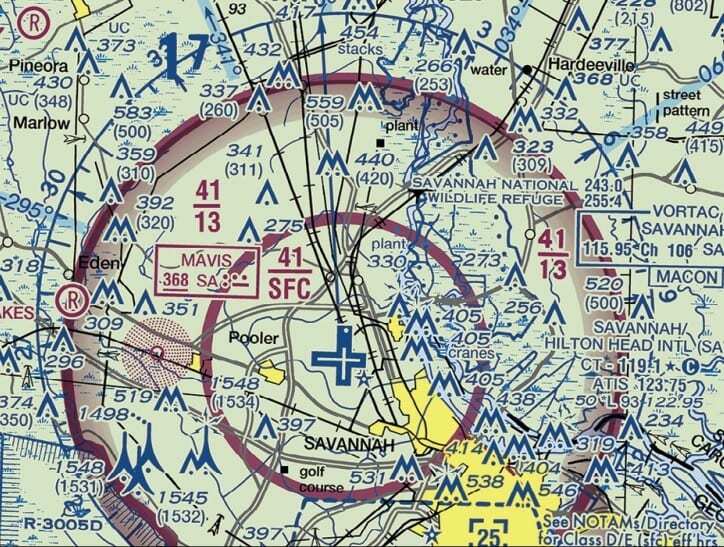 Class E at the surface airspace. This is an isogonic line. Wrong. Class E at the surface airspace. This indicates that there will be a large obstruction depicted on the next printing of the chart. 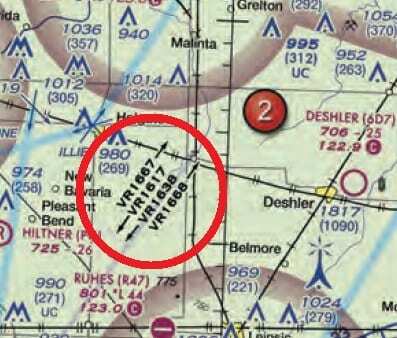 This is a VFR check point for manned aircraft, and a higher volume of air traffic should be expected there. Wrong. 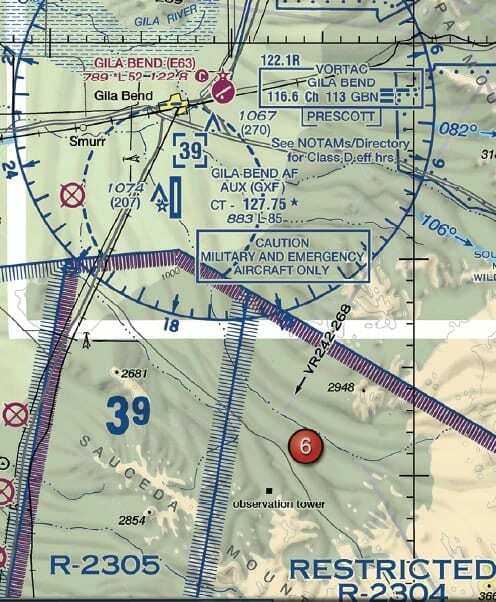 This is a GPS check point that can be used by both manned and remote pilots for orientation. Wrong. This indicates that there will be a large obstruction depicted on the next printing of the chart. By utilizing the B4UFLY mobile application. By contacting the FAA district office. By obtaining a briefing via an online source such as: 1800WXBrief.com. Authorization from the National Park Service. The National Transportation Safety Board. Upon request of the Federal Aviation Administration. Correct. Upon request of the Federal Aviation Administration. Wrong. The National Transportation Safety Board. Follow the manufacturer`s recommendations for safe battery handling. Store the batteries in a freezer to allow proper recharging. Allow the battery to charge until it reaches a minimum temperature of 100 °C. You Failed. You need at least 28 to pass! 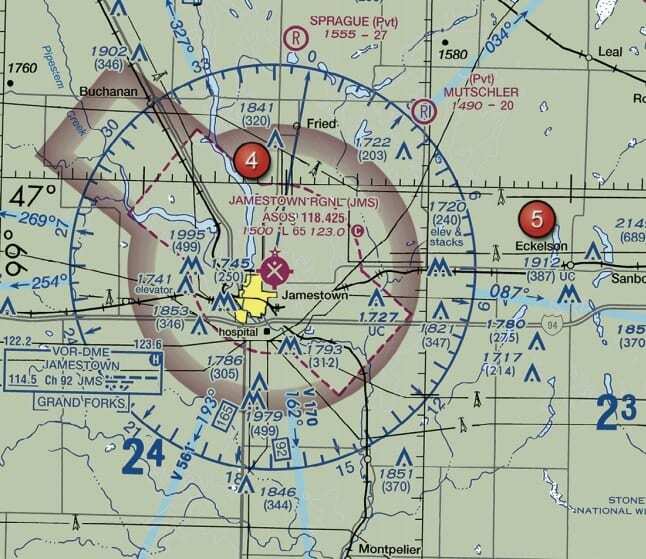 You need to study airspace and chart reading more. I’m planning on coming out with a course soon over at Rupprecht Drones on this subject area. Want the answers & explanations in a PDF to study? You can obtain the answers & explanations in a PDF format via email if you sign up for the drone law newsletter below! Do one of the following drone logbook statements accurate describe you? If any of the above describe you, you are in the right place. We are are going to dive into all of the issues surrounding drone logbooks. This article will be applicable to recreational and commercial drone operators. There are primarily two types of logbooks: (1) pilot drone logbooks where the pilot logs experience and training and (2) drone aircraft/maintenance logbooks. There are two modes of logbooks: (1) paper and (2) electronic. Commercial Drone Operators (Section 333 & Part 107). 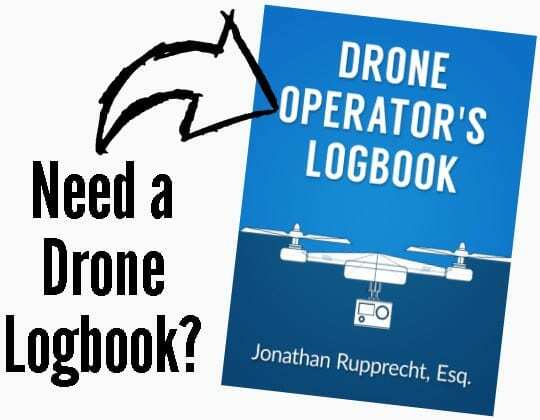 What Types of Drone Logbooks Are on the Market? How to Fill Out a Logbook. Confused about drone logbooks? Here is the ultimate guide. Section 61.51 is the most important section for Part 61 pilots on logbooks and specifically lays out some definitions and the requirements to log that time. 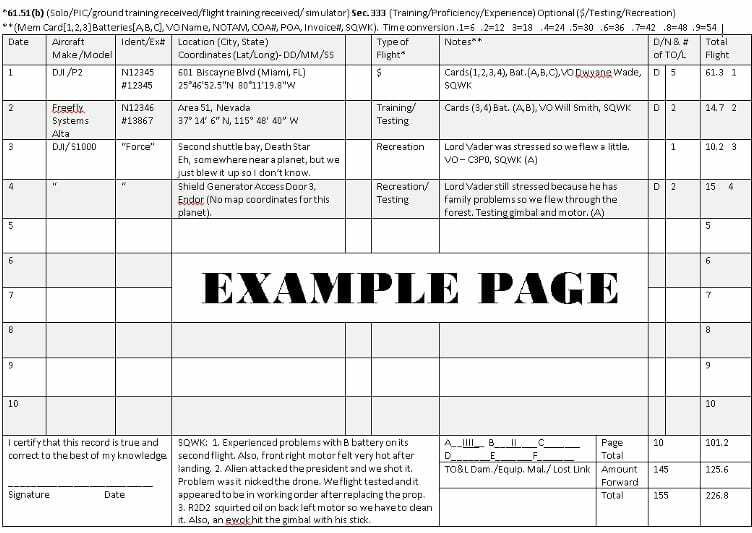 These specific terms and requirements were created for pilots to accurately describe their training and experience to meet eligibility requirements to obtain an airmen certificate or added rating. This was how manned aircraft pilots were doing it. Then drones came on the scene. We had to fit the square in the round hole in September 2014 with the first batch of 333 exemptions were released. There continues to be a provision in the 333 exemptions that mentions that the pilot may log time in accordance with 61.51(b) to show pilot in command (“PIC”) qualifications to operate under the 333. Then on August 29th, 2016, Part 101 and Part 107 became law which gave us the term remote pilot in command.That is interesting to note since for a while it was a “must” log until November 2016 where the FAA unilaterally updated 5,000+ exemptions and now they say “may” log in a manner consistent with 61.51(b). So how do we sort this all out when it comes to logging since we have different terms in different parts of the regulations? Part 107 created this neatly contained part of regulations which spells out what you need to do to obtain your remote pilot certificate and how to operate under it. 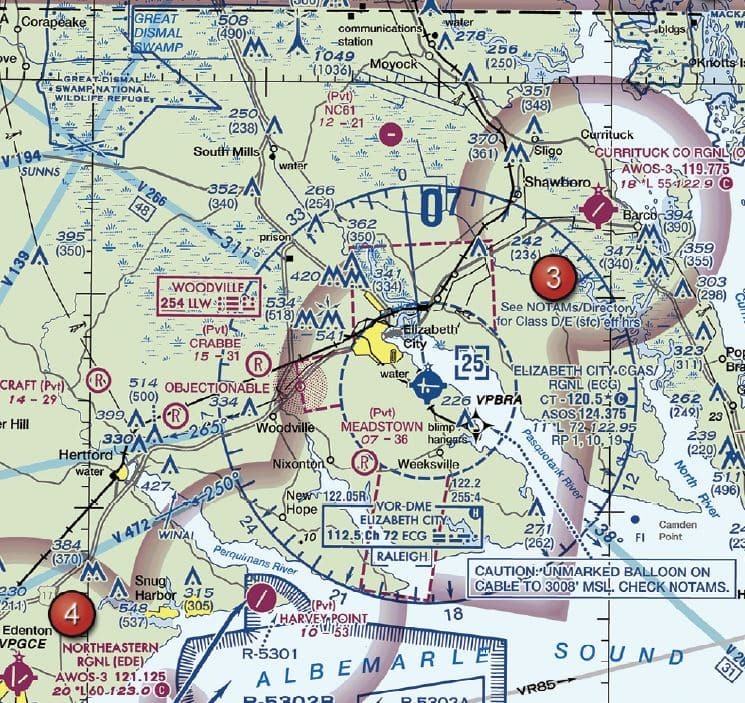 You only need to pass a computer-based knowledge exam to fly unmanned aircraft so definitions are not even needed to define knowledge, experience, or training in a logbook to obtain a certificate under Part 107. The definitions only really mattered in a Part 61 & Part 91 situation where training and experience needed to be logged accurately. Moreover, most of the terms are not even accurately being used! If you look carefully at the definitions, you’ll notice that almost all of them 99% of the time cannot be applied to Part 107 remote pilots under a strict reading of the legal definitions. Sure. Everyone will know what you mean but they are not legally accurate usages. But then again, in 107 world, many of these definitions don’t matter. You could call the time flying your Star Wars tie fighter drone “Lord Vader time” because you aren’t using that time to go for a certificate or rating. Here is a helpful graph of the different definitions, their location, and how a person flying under Part 101 or Part 107 should treat the definition. This is a term regarding ACTING as PIC. PICs acting as PIC can log it. The reason why there are different terms is because sometimes you can log PIC without being acting PIC. See Logging Pilot-In-Command Time article for AOPA. If you are operating under 107 or 101, this does NOT even apply to you. 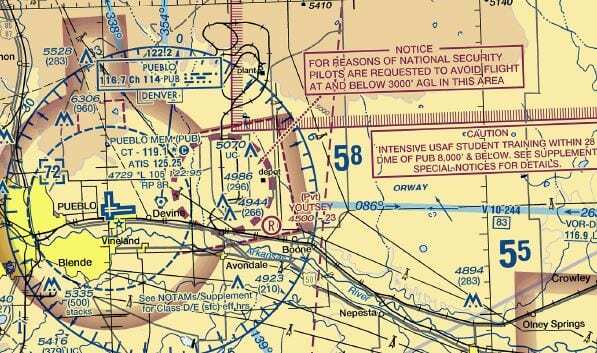 The FAA said this very well in now Cancelled Notice 8900.259, “The terms “pilot” and “operator” have historical meanings in aviation, which may have led to some confusion within the UAS community. As defined by the FAA in Title 14 of the Code of Federal Regulations (14 CFR) part 1, § 1.1, the term “operate,” “…with respect to aircraft, means use, cause to use or authorize to use aircraft, for the purpose… of air navigation including the piloting of aircraft, with or without the right of legal control….” This means that an operator is the person or entity responsible for the overall aircraft and that may include a broad range of areas, such as maintenance, general operations, specific procedures, and selecting properly trained and certified flightcrew members to fly the aircraft. The pilot in command (PIC), also defined in § 1.1, is the final authority for an individual flight. 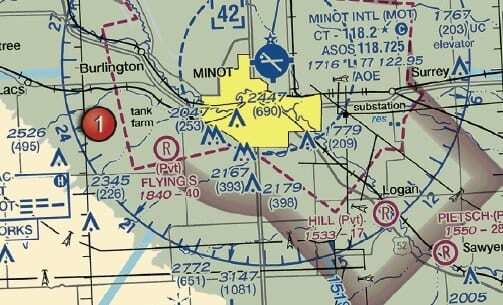 Pilots are persons appropriately trained to fly aircraft.” Additionally, the FAA said in the preamble to the small unmanned aircraft rule, “Several commenters noted that using the term “operator” in part 107 could result in confusion. NTSB, ALPA, and TTD pointed out that “operator” is currently used to refer to a business entity and that use of that term to refer to a small UAS pilot would be inconsistent with existing usage. Transport Canada and several other commenters stated that ICAO defines the person manipulating the flight controls of a small UAS as a “remote pilot” and asked the FAA to use this terminology in order to harmonize with ICAO. Transport Canada also noted that: (1) Canada uses the same terminology as ICAO; and (2) calling an airman certificate issued under part 107 an “operator certificate” may lead to confusion with FAA regulations in part 119, which allow a business entity to obtain an operating certificate to transport people and property. ALPA and TTD suggested that the person manipulating the controls of the small UAS should be referred to as a pilot, asserting that this would be consistent with how the word pilot has traditionally been used. As pointed out by the commenters, FAA regulations currently use the term “commercial operator” to refer to a person, other than an air carrier, who engages in the transportation of persons or property for compensation or hire. Commercial operators are issued an “operating certificate” under 14 CFR part 119.67 Because other FAA regulations already use the term “operator” to refer to someone other than a small UAS pilot under part 107, the FAA agrees with commenters that use of the term “operator” in this rule could be confusing.” (emphasis mine). Remote Pilot in Command 14 CFR 107.12 & 107.19. Applicable only to unmanned aircraft systems operations. Advisory Circular 107-2 at 4.2.5 says it nicely, “A person who holds a remote pilot certificate with an sUAS rating and has the final authority and responsibility for the operation and safety of an sUAS operation conducted under part 107. A recreational drone operator cannot accurately rely on memory to determine when to change out batteries or propellers. Additionally, memory is a poor way to recall if preventive maintenance checks were done. One can argue that flying a drone over and over again without logging the time the propellers have been used to be “careless and reckless” which is contrary to the Academy of Model Aeronautics Safety Code and the Drone Users Group Network Safety Guidelines. RCAPA’s general safety guidelines require that the drone be “airworthy” prior to flight. A logbook is a reliable way to determine time on properly for a drone operator to make a decision on the airworthiness of the aircraft. 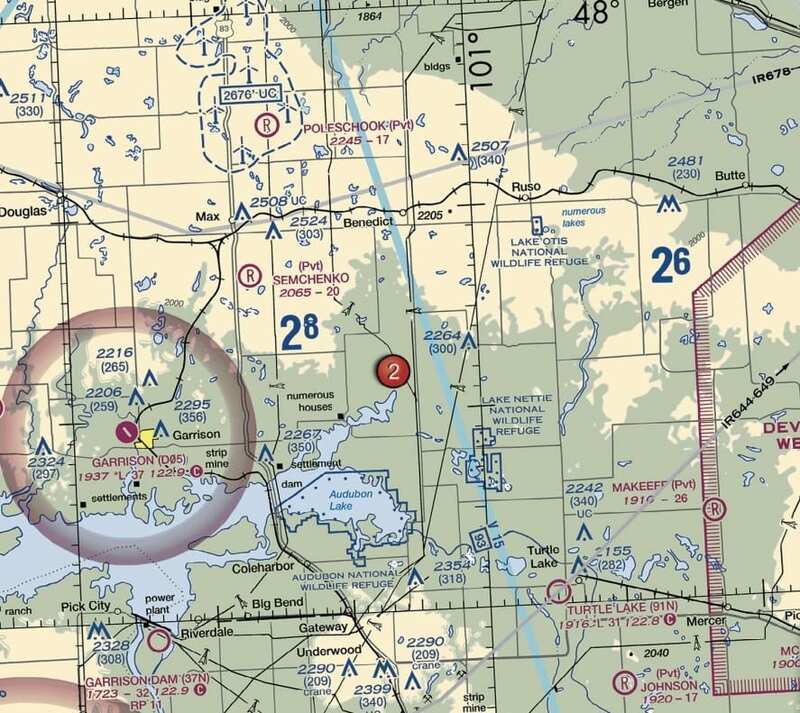 Whether the above argument holds any water in a court of law is another discussion but this is more food for thought than listing potential arguments the FAA might throw at a recreational operator. F. Commercial Drone Operators (Section 333 & Part 107). (ii) Total flight time or lesson time. 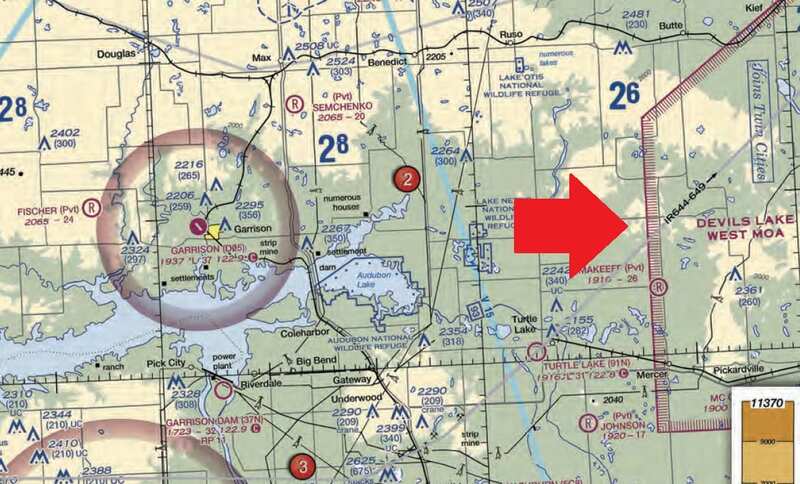 (iii) Location where the aircraft departed and arrived, or for lessons in a flight simulator or flight training device, the location where the lesson occurred. (iv) Type and identification of aircraft, flight simulator, flight training device, or aviation training device, as appropriate. (v) The name of a safety pilot, if required by §91.109 of this chapter. (iv) Flight and ground training received from an authorized instructor. (v) Training received in a flight simulator, flight training device, or aviation training device from an authorized instructor. (iii) Simulated instrument conditions in flight, a flight simulator, flight training device, or aviation training device. (iv) Use of night vision goggles in an aircraft in flight, in a flight simulator, or in a flight training device. Prior to flight, the remote pilot in command must . . .
(e) Ensure that any object attached or carried by the small unmanned aircraft is secure and does not adversely affect the flight characteristics or controllability of the aircraft. But here is the problem with drones, they are aircraft, but the drone manufacturers don’t treat them like aircraft. We don’t have any warnings being issued on certain parts like we have with the airworthiness directives in manned aviation. Yes, GoPro did a recall because of their batteries which is a good start. The technology changes so much that the mean time between failures is not known for many parts of the drones. People just buy the Phantom 4 before the Phantom 2 or 3 broke. No one is sharing the data of the aircraft failures. Why would you want to and be called an idiot on the internet? So really any preventative maintenance being done, while appearing safe, is really going to be just best guesses. Legal Compliance. You might need to document training received for some waivers. Additionally, you might want to log aircraft maintenance to prove that you attempted to maintain the aircraft in an airworthy manner. Marketing. Showing a completed logbook to a potential customer is a great marketing point. Like the old adage, “A picture is worth a thousand words,” a good logbook is worth a thousand flights. You can quickly demonstrate your flight experience by flipping through the pages. Furthermore, a well-kept and orderly logbook gives the impression that you are a professional. Insurance. When you apply for insurance, they will ask you to fill out a form that is going to ask for all sorts of information. A logbook will assist you in filling out the form so you can receive the most accurate quote. Maintenance. You cannot accurately rely on your memory to recall if you did something or not. Has that problem you observed gone away? Is it getting worse? Logging helps you notice trends and also allows you to rule out certain things when hunting for the cause of a problem. If you are operating under a Section 333, 14 C.F.R. 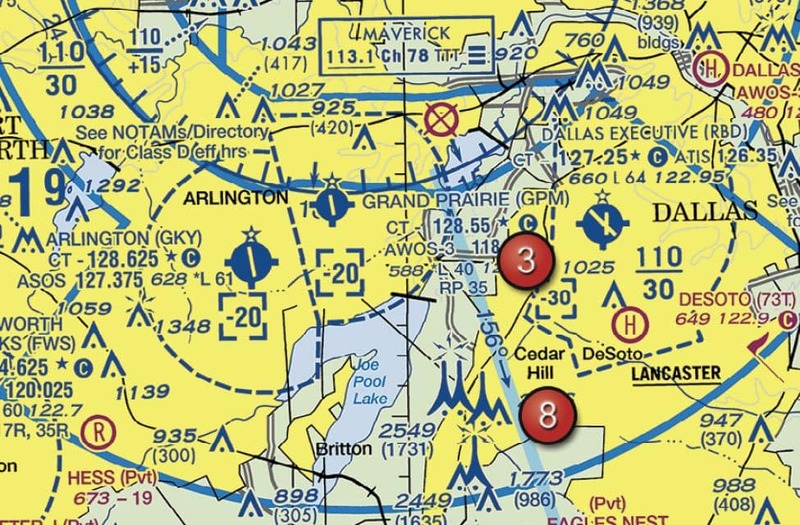 § 61.51(i) says, “Persons must present their pilot certificate, medical certificate, logbook, or any other record required by this part for inspection upon a reasonable request by” the FAA, an authorized representative from the National Transportation Safety Board, or any Federal, State, or local law enforcement officer. If your electronic logbook is on your device, do you really want to give law enforcement or the FAA your device? Furthermore, how are you to get the data off that device? A paper log book can be easily inspected by law enforcement officials without them prying into your privacy. No battery, no software, no firmware, no bad cell reception. If you are investigated, whoever is investigating is going to have to obtain the logbook itself as opposed to just subpoenaing the electronic logbook company to turn over all your info. Some countries require paper logbooks. It is easier to allow a potential client flip through the pages than reading on your small cell phone with greasy smudge stains. Harder to “cook the books” with paper. Easier to transfer to another person who purchases a drone from you. Totaling up the numbers is soooo much easier. Less time spent on managing the logbooks. You can customize these as you need. Some plans have monthly fees. The data is less likely to be lost compared to a paper copy which has to deal with fire, flood, hurricanes, bad memories, etc. You can have data breaches. Law enforcement or personal injury attorney can subpoena the records from the database. IV. What Drone Logbooks Are on the Market? Here are the more popular electronic drone logbooks. Some allow you to log pilot experience as well as aircraft time and maintenance. Most have a basic free version and the availability to add plans with extra features for a price. Basically, everything I saw on the internet looked bad so I decided to allow people to download the template of the Drone Operator Logbook. If you like this logbook, you can just buy the paperback version of it on Amazon (link below) and save on printing since Amazon sells mine for around $10. To download the logbook template, simply sign up for the newsletter with your email and it should be sent to your email. Success! Now check your email to download the logbook template. Here are the more popular paper drone logbooks. Hardcover so you can easily write in it. You could use it with a Section 333 exemption because it is 61.51(b) compatible. Some of the columns don’t make sense. For example, there is a “to” category and a “from” category. We are flying drones here guys. We don’t fly these anywhere else but right where we are standing. Another example is that there is a column for rotor, fixed wing, and a blank column. What in the world would you put in that blank column? Powered lift or lighter than air? Another column says instrument time. Small so you can’t write a lot of information in it. It has this cool graph on the side. This is great for sketching things out. But you could just get regular paper and sketch things out if you need. There is an “eh ok” checklist built into every page. The gutter in between the pages might allow for it to be hole punched. It does not have rows or columns for the 61.51(b) elements. While 61.51 isn’t a standard for 107 or 101 flyers, if you choose to adopt it, you’ll have to remember to put things in. There are not many columns to log different types of time. It has a pre-flight checklist but no post-flight checklist. Brief note on the differences between V 1.2 and V 1.3 of my logbook. The text in the instruction up front was updated to reflect the changes since Part 107 is now law. Also, I changed the top quick notes section of each page from “FAR Required” to “61.51(b)” and “333 Required” to Section 333 to reflect the FAA’s new “may” language in the exemptions. I added more places to log battery cycles in the bottom from 6 to now 12. 61.51(b) elements are included in case you want to adopt this standard. You can log battery discharges right on each page. There is a TON of room on each page. You can easily log all your notes. 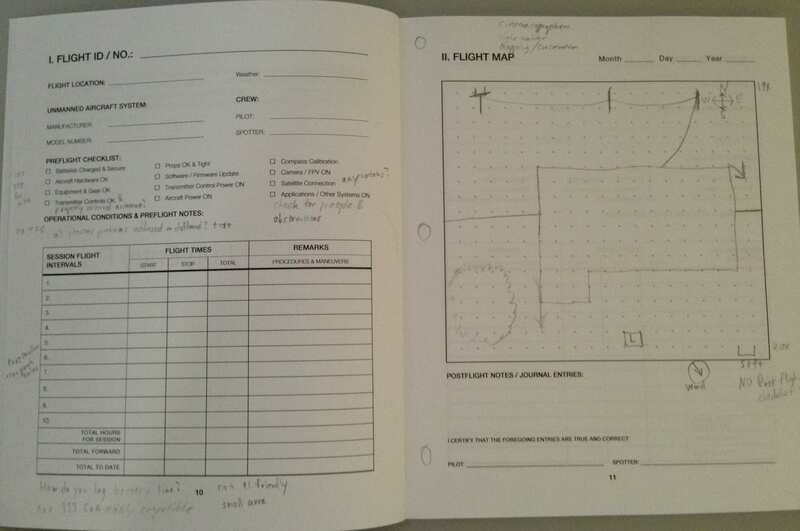 Since it is also large, you can get regular writing paper and sketch out the job sites and then staple them to the page where you logged the flight. This logbook is large enough to also double as a maintenance logbook for your aircraft. When you make any repairs, staple in the receipts and make detailed so you can better diagnose problems or obtain a higher resell value for the aircraft because you can prove what was done to it. I would suggest if you want to use it as a maintenance logbook, that you buy a separate logbook just for the aircraft in case you fly multiple aircraft. Each page has a “cheat sheet” of things to jog your memory on what you might want to log on each line. It is a softcover so writing might be difficult. It is the largest of the logbooks (but you get a lot of room to write). It might be difficult to fit into a plastic sleeve that would fit in a 3 ring binder. However, I think the way around this is to just buy one of the plastic 3 ring expansion envelopes like this one. Some have complained that the gutter is too small which makes it difficult to hole punch the logbook. VI. How to Fill Out My Drone Logbook. Starting at the top, there are two rows with asterisks which are references for the Type of Flight and Notes sections. There is also a handy time conversion. DATE: The date of the flight. AIRCRAFT/MAKE & MODEL: Put the make and model of the aircraft. IDENT/Exemption #: In this column, you can put the registration of the aircraft. You can also put in an exemption number if you want. LOCATION. Blanket COA reporting must list the city/town, state, and coordinates in decimal, minute, second format, (DD, MM, SS.S) N (DD, MM, SS.S) W, in the COA reports. Tip: Open up the iPhone compass app and it will display the GPS coordinates in the proper format at the bottom of the compass. 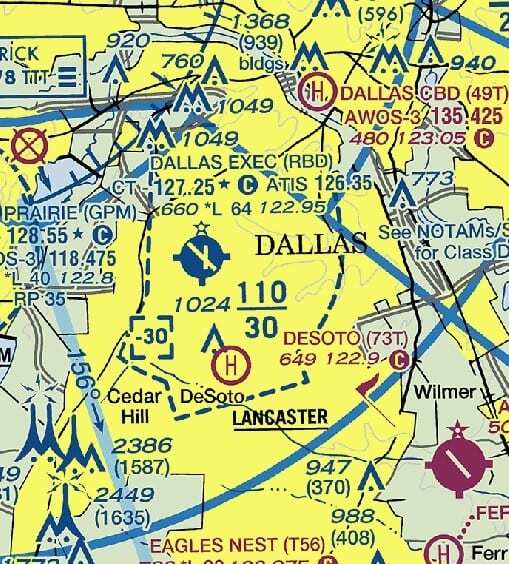 107 remote pilots or 101 recreational flyers are not required to log this but may adopt to. BLANK COLUMN. If you are operating under your 333 exemption still, track your plan of activities (POA) submissions and NOTAM filing. You can also track invoice number, the pre & post voltage of batteries, takeoff or landing damage, equipment malfunctions, or lost link events. TYPE OF FLIGHT. 61.51(b) lists terms like solo/pilot in command/flight, ground training, training received, or simulator training received. Notice the * reminds you to look at the top of the page for suggestions. 333 exemptions allow logging of (training/ proficiency/ experience). Optional entries could be ($/testing/recreation). NOTES. Here are some suggestions: memory cards [1,2,3], batteries [A,B,C], the name of the visual observer (“VO”), NOTAM filed, the ID of the COA you are flying under, did you file the plan of activities?, Invoice #, pre/post voltage on the batteries, and SQWK (which means you documented in the SQWK section the problems and fixes).If you are a Section 333 operator and you experienced takeoff or landing damage, equipment malfunctions, or lost link events, you MUST report this to the FAA via COA reporting. Total Flight. Use a new battery for each line and enter the time after each flight. A convenient list of numbers is located on each page to help determine the most accurate entry. .1=6s .2=12s .3=18s .4=24s .5=30s .6=36s .7=42s .8=48s .9=54s For each battery, make sure you log cycles at the bottom with tick marks. This way you can keep track of when to fully discharge the drone battery based upon the manufacturer’s recommendations. SQWK. Squawk section where you list any issues you discovered during flight. Instead of putting all of this in the notes section, just write “sqwk” and you’ll know to look at the bottom. In that section, You look for the number corresponding to the line number because all of the squawks go into the bottom box. You can keep track of firmware updates by listing them below the battery section. When you are finished with a page, add all the numbers up, sign the page, and cut off the corner of the page. This makes it easy to find the most current tab using your thumb. I would highly suggest you do not just go and do nothing after reading this. You should log your flights so as to track any maintenance that needs doing as well as collecting data to know when you need to change our certain parts or the entire drone. Get a logbook, a piece of paper, a word document, one of the logbooks mentioned above, ANYTHING! Just do it now. Don’t push it off. You won’t do. Start doing something. Today. I was doing research for one of my 333 petition clients and came across some interesting findings I want to share with everyone. It seems to me that there are only about 15 words and everyone basically mixes up those 15 words (think Scrabble), picks a few of them, and puts them together to create a company name. One business I know of in the pool leak industry had a big problem. Their original company name was Leak Solutions. They had a great word of mouth reputation but people were referring potential customers to the incorrect company or the potential customers had a hard time remembering the exact accurate name and finding the company. There were many different competitors in the industry with very similar names who were taking their business. The company rebranded their name to Red Rhino. 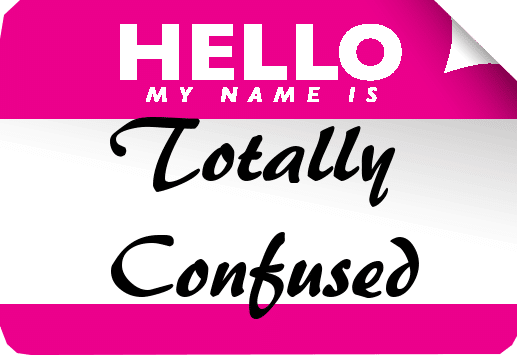 The big problem with choosing a name with words everyone else is using is your customers are going to get the names confused and referral sources could potentially send referrals to the wrong company or competitor! Are you wanting to become a commercial drone pilot? I created a FREE study guide to help you take the test! Here is a perfect example of why you want to do research before picking a name. This is also an important lesson on why you need to do research before starting a company. Proverbs 19:2 says, “Desire without knowledge is not good, and whoever makes haste with his feet misses his way.” Anyone interested in starting a business should learn more about trademarks. Want to learn more about trademarks? Great! The United States Patent and Trademark Office created some helpful videos on this area. These videos are great to watch during your lunch break. Basic Facts: Should I Register My Mark? Basic Facts: How Do I Get Help With My Application? There are no other names on Google that come up with a similar thing or that are very powerful. For example, the drone company Skyward has to compete with Skyward which is a K-12 administrative software package. Make sure there is NOT any bad reputation with the name from another industry (like Enron). Check to see if you can register the social media handles with the name on Facebook, Twitter, Instagram, and Linkedin. Is it forcing you to stick to one industry? For example, if it is Drone Bros and you decide to go into doing video productions, your clients might be confused by the name. Keep in mind that you have the ability to maybe get a doing business as DBA for whatever you go into. You want it broad enough for the future but accurately describes you now. Others will have the same idea. I saw one guy on Facebook talking about a competitor naming his business almost the same as his. ( example: “Springfield Drones”).